(2015) I recently turned seventy. One sort of hates to say that but may as well get it out there! And for most of those years I have been sort of a sedentary person. Busy and active but not at all athletic or even leaning that way. 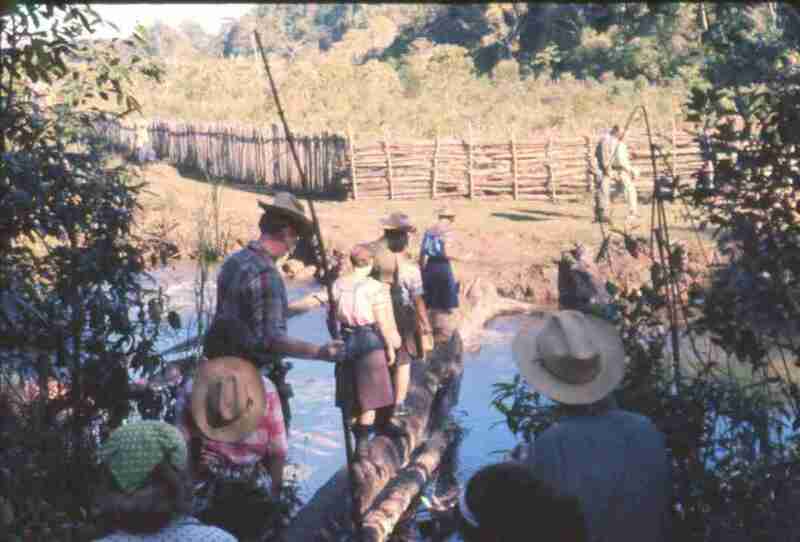 I grew up on a farm in Kansas and did more than my share of playing outdoors, walking the mile to and from school, trying to build stuff, but walking was utilitarian, to get from A to B when there were no other options. 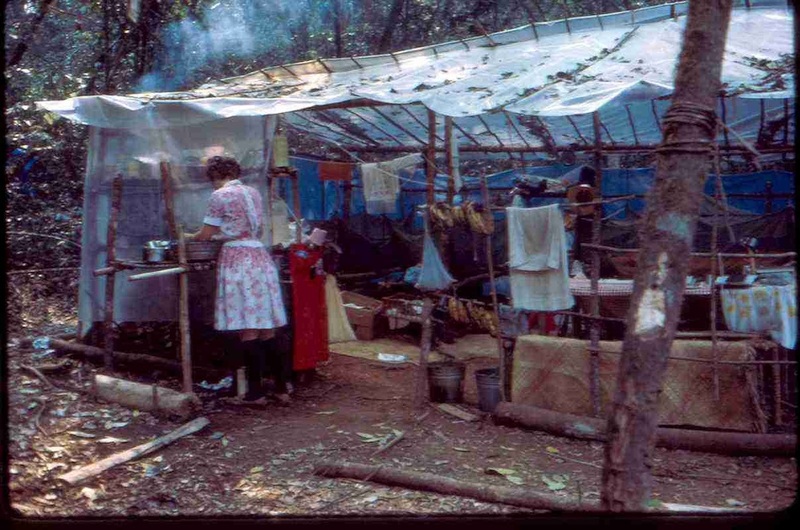 As to camping, the closest I can come to remembering anything even remotely related to camping was a night or two when it was so hot on the farm that our whole family slept on some sort of iron cots with steel webbing to support our blankets or mattresses in the back yard. I remember being very excited about doing that but can't seem to remember anything else. Well one other thing, it wasn't that night but I do remember being blockaded on one of those cots by what I thought was a rattlesnake nearby. My mother, hearing my panicked screams came to my rescue with a hoe and dispatched the innocent bull snake to its final reward - in several pieces. I've never been particularly fond of snakes since! 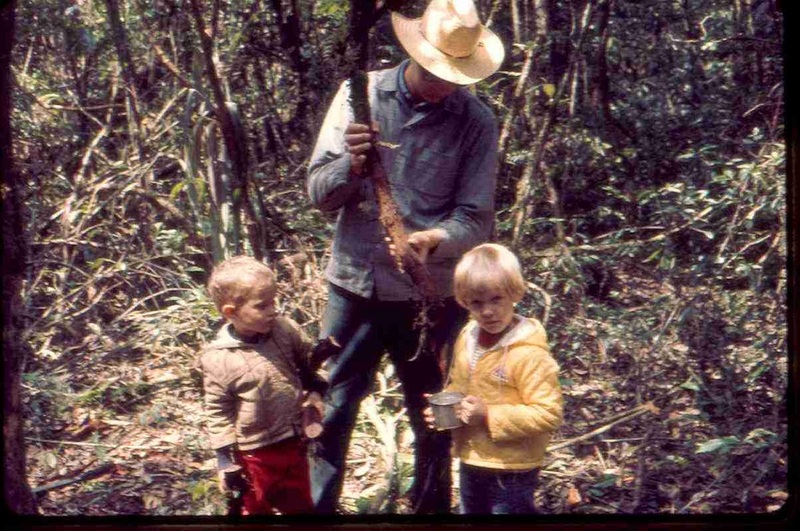 One ever-so-brief exception was way back in 1971 when as part of "joining" Wycliffe Bible Translators we all had to go through a three month training thing in southern Mexico that included hiking into the surrounding jungle, overnighting on sort of a survival hike and building a "house" in pretty jungly circumstances for my family to live in for six weeks. An overnight near a small river somewhere in the jungle in Southern Mexico. We didn't think of it so much as hiking and camping as just making it through the three months back then. But in retrospect it was clearly camping! Fresh water from a vine anyone? The "home" I built for my wife and two kids (and me) during our three months in Mexico. Some bridges were more creative than others. 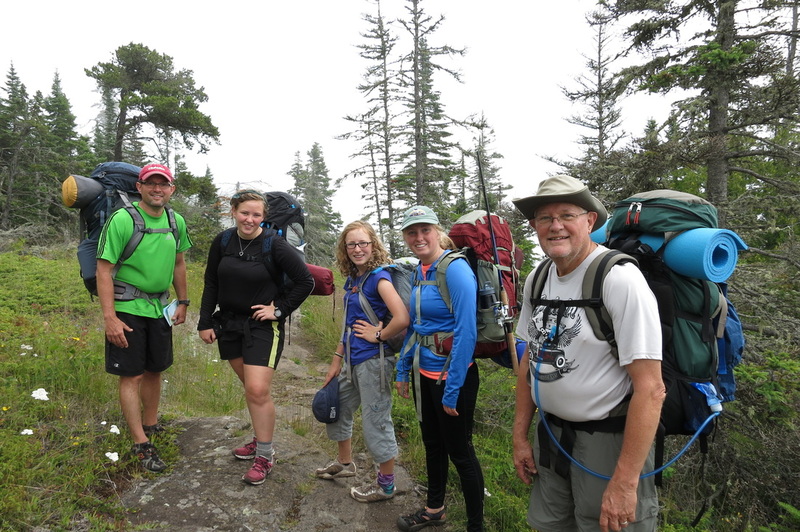 Then in 2013 my son called and invited me to join him and his three daughters on a seven day trip to Isle Royale in Northern Lake Superior. Wow. Dare I? I was in my 20's when we did that Mexico thing with our two kids. Now I was 69. But with my wife's encouragement (mind you she didn't offer to go along!) and a desire to join my son in one of his interests, I decided to go. Folks in the neighborhood looked at me kind of funny, one even checking to see if I was homeless, as I walked around the neighborhood with my 40 pound back pack seeking the biggest incline/declines I could find in our lake community for three weeks. And of course I spent money on clothes and gear since I really had nothing suitable for such an adventure. We spent five nights on the trail in tents. Saw a female moose with calf and just had a lot of fun together. Actually sharing the experience with the girls was the highlight. They sang and told stories and laughed all of the time. Too bad there were no bears to worry about as we certainly wouldn't have surprised them with our presence! The scenery on Isle Royale was spectacular. 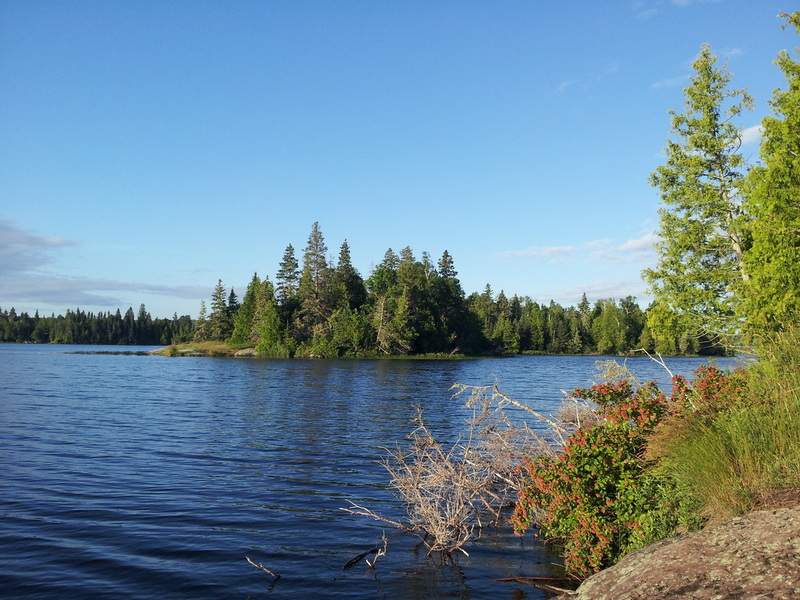 More of the amazing scenery on Isle Royale. 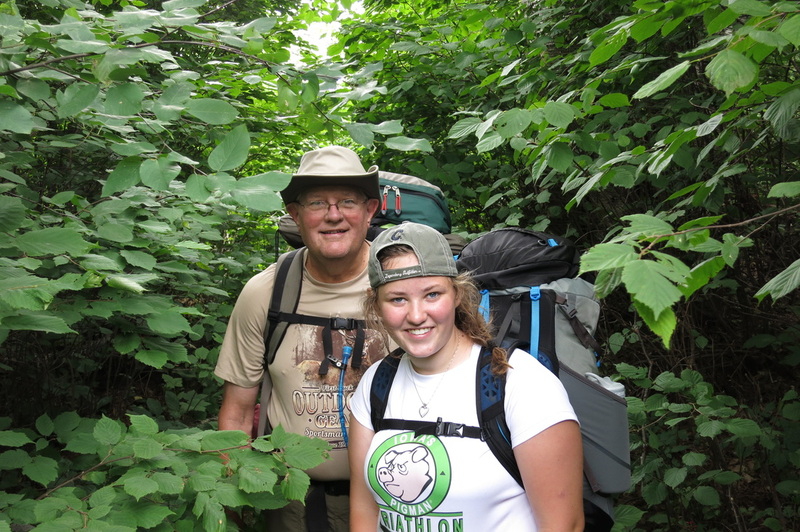 With one of my granddaughters on Isle Royale. Just a few miles from the end of the five day Isle Royale trip - and we look like it. And a funny thing happened. I enjoyed it. In spite of the fact that it may well be the physically hardest thing I have ever done it was a magnificent experience. 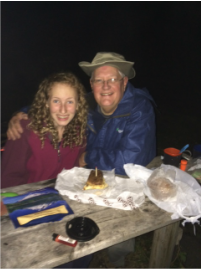 Celebrating my 70th birthday with my granddaughter the first night on the North Shore of Lake Superior! Late last summer (2014) my son raised the possibility of a short trip to the North Shores area along the west bank of Lake Superior, north of Duluth, MN. Due to a number of schedule problems we didn't actually hit the trail until October 9th. We knew it might be cold but the 28 degree nights weren't a problem and the warmer but not hot days served us well as we hiked up and down the hills and admired the marvelous views of Lake superior from a few miles inland. One highlight of the trip was celebrating my 70th birthday around a sticky bun my son bought at the restaurant we stopped at on the drive up from St. Paul! Ice cream would have been nice, but you take what you can get on the trail! Another highlight was anticipating and then enjoying Kentucky Fired Chicken, mashed potatoes, green beans and biscuits at the end of the hike! Talking about that chicken is all that kept us going the last several miles! And that is NOT meant as a commentary on the food John had selected for us which was mostly more than just palatable. Once again it was a good experience, leaving me open to consider something else should it arise. 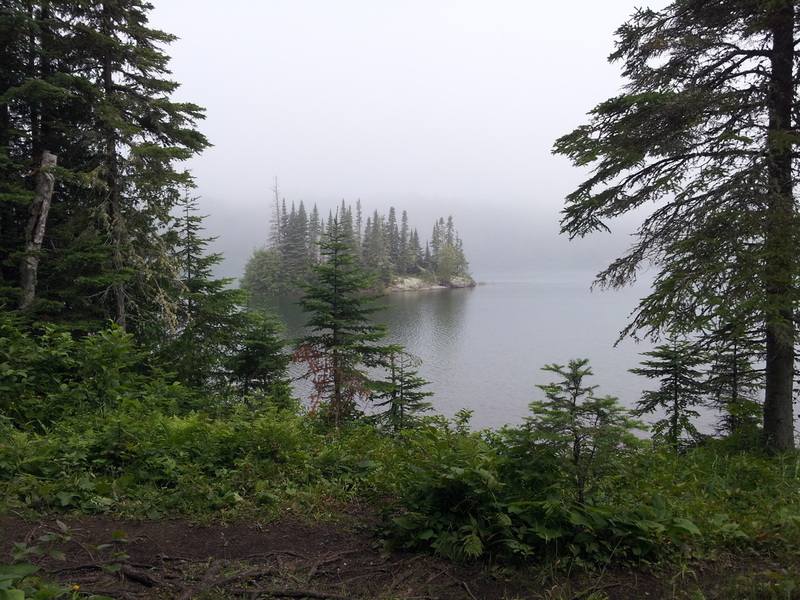 So, with that as background, I wasn't totally surprised a few weeks ago (January 2015) when John called again, this time to invite me to join him and the girls on an eight day backpacking trip to Glacier National Park! So.... I've started "training" for that. It is way too cold to march around the neighborhood here in Wisconsin so all I've done is claim my wife's treadmill, march up and down the stairs (she's worried I'll wear out the carpet on the steps) and do squats, all, so far, out of sight of other humans as I'm not exactly the perfect physical specimen for such an undertaking. So if you think of me, pray for Spring as I have a lot of work to do to be ready for this.